Philip Akin has been acting and directing for over 40 years. 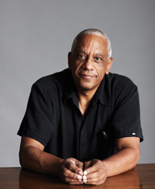 In 2000, he was a founding member of Obsidian Theatre, Canada’s leading black theatre company, and has served as its Artistic Director since 2006. In this role, he has worked tirelessly to provide opportunities and guidance for emerging artists. In 2002, he was part of the team that launched the Obsidian Mentor/Apprentice Program. Since then he has created the Obsidian Playwrights Unit, Associates Program, Darktown: Black Ties and Director’s Initiative. 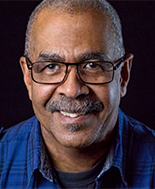 His directing credits include Men in White (Factory Theatre) The Humans (Royal Manitoba Theatre Centre), Passing Strange (Obsidian & Musical Stage Company) Ruined (Obsidian & Nightwood), Wilberforce Hotel (Blyth Festival), Whipping Man and Driving Miss Daisy (Harold Green Jewish Theatre),Topdog Underdog, The Mountaintop and “Master Harold”…and the Boys, Of Marriage and Men (Shaw Festival), Toronto the Good & El Paso (Factory Theatre), Intimate Apparel (Citadel Theatre, Canadian Stage, Obsidian Theatre), and Black Medea, Born Ready and Pusha Man (Obsidian Theatre). He is currently the Vice-President of the Board for the Canadian Contemporary Dance Theatre (2009 to present) and has served on juries for Theatre Ontario, Ontario Arts Council and the Canada Council for the Arts. Michael feels like he is coming home, having stage managed Obsidian’s first show, Djanet Sears’s ‘Adventures of a Black Girl in Search of God’ plus several other shows for Obsidian over the years. He now joins the company as our new General Manager. Prior to a career in stage management, Michael worked as an accountant and so he brings a strong financial background to the job. He is well versed in theatre from one end of the country to the other. Michael is looking forward to marrying the administrative and the production elements in the theatre community and all the challenges that they present. This is what Obsidian does best; we give our community the tools and craft to help people make those major career moves. 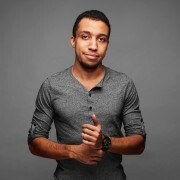 Luke Reece is a Producer, Playwright, and Spoken Word Artist based in Toronto. He loves engaging with and empowering young-in-craft artists that are as diverse as the community he lives in. Along with being the Producer at Obsidian Theatre Luke is the co-creator of the Dark Nights conversation series, and Artistic Director of Little Black Afro Theatre. He teaches and facilitates regularly with Crow’s Theatre, CANVAS Arts Action Programs, and the Paprika Festival. Luke is the 2017 Toronto Poetry Slam Grand Champion and captained the 2017 Toronto team. Most recently the team competed at the Canadian Festival of Spoken Word against teams across the country, and placed first. Individually, Luke placed 2nd in Canada at the Canadian Individual Poetry Slam Finals in 2018. 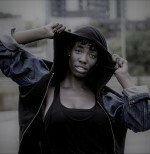 Myekah Payne is a Developmental/Production Dramaturge based in the city of Toronto. Myekah has a diploma in Musical Theatre Performance. She also completed a 2 year new play dramaturgy program while working on her BA at York University. She currently works as a production dramaturge for Driftwood Theatre, a Shakespeare touring company also based in Toronto. Being OTC’s Company Dramaturge is a position she is excited to take on for 18/19 season. Myekah is passionate about storytelling and theatre and cannot wait to bring this into her work with Obsidian.